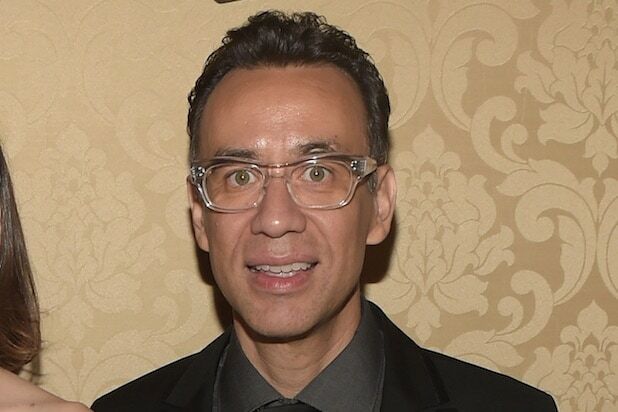 Fred Armisen, apparently, was dying to get to Sunday night’s Emmy Awards — because he arrived in a hearse. 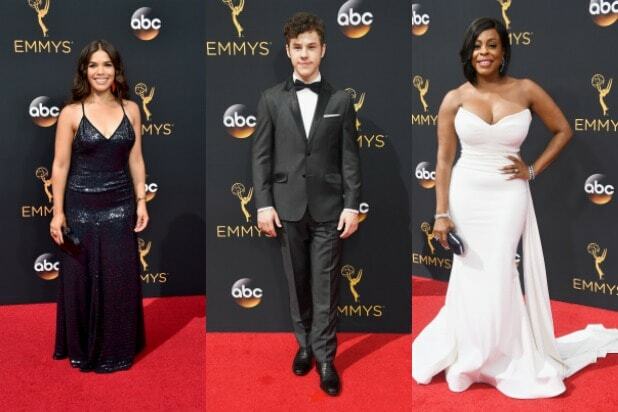 With his date, “Orange Is the New Black“ star Natasha Lyonne, at his side, Armisen stepped out of the hearse dressed in head-to-toe black and sporting a rather peculiar accessory — neck bolts a la Frankenstein. Before the duo arrived on the scene at the Microsoft Theater in Los Angeles, Lyonne tweeted, “Fred’s banter with the hearse driver is legendary,” adding shortly thereafter, “Spooky.” Oh, to be a fly on that car window. It wasn’t until her Twitter followers tuned in to see the pre-show that they realized what she had been tweeting about.